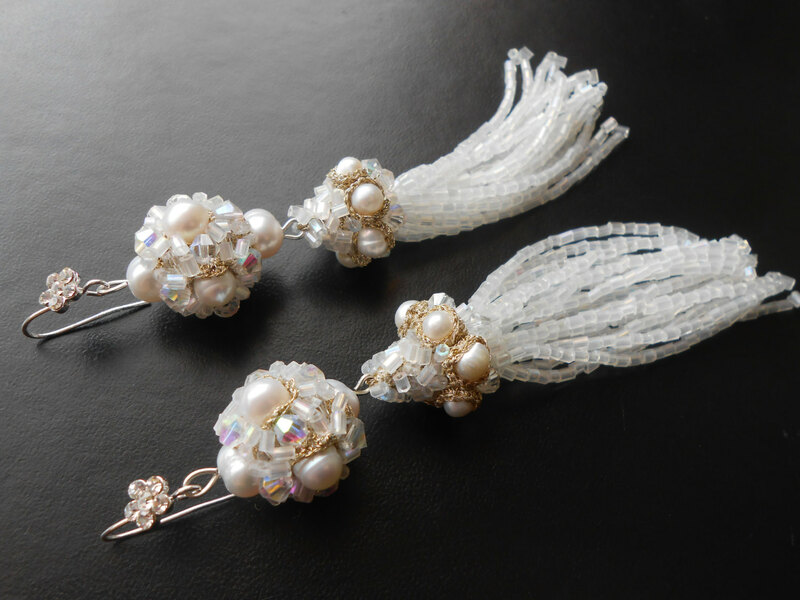 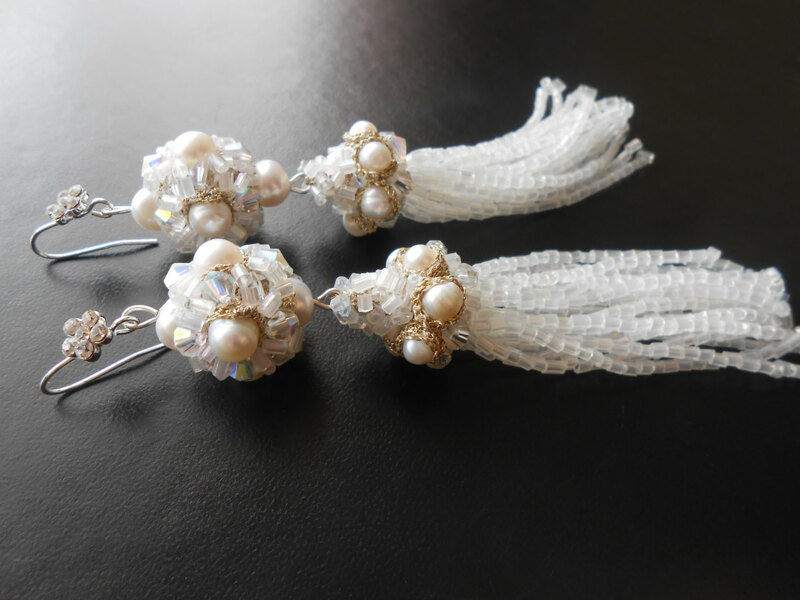 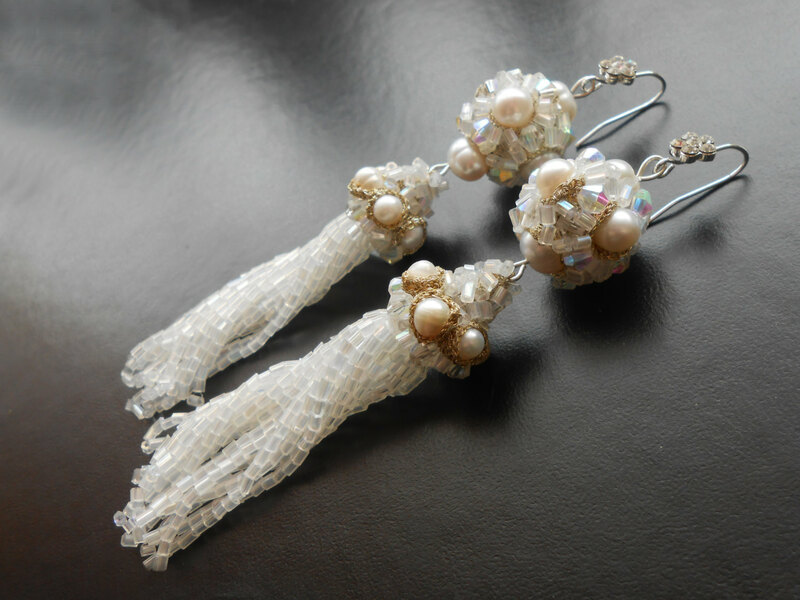 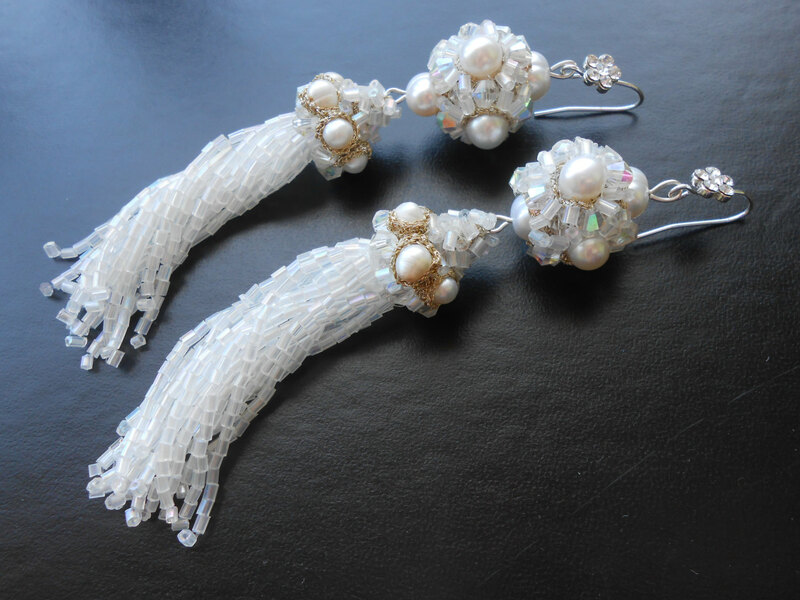 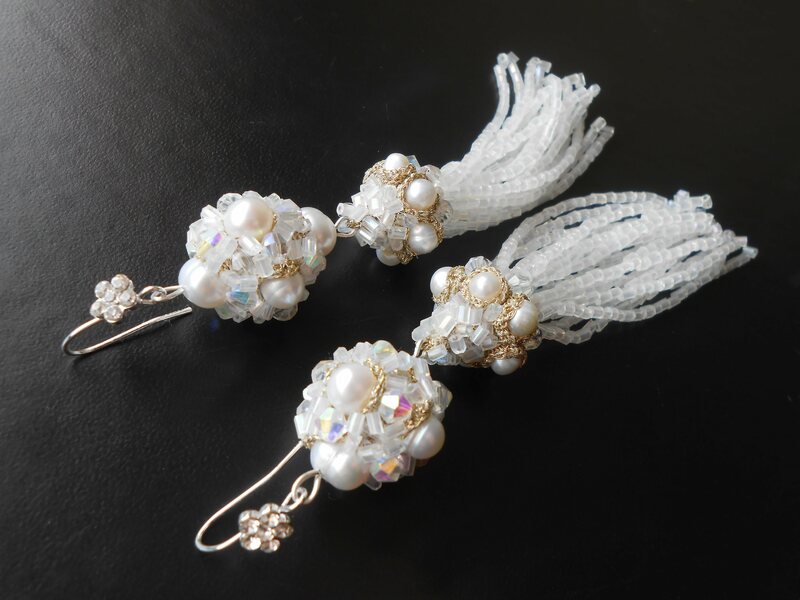 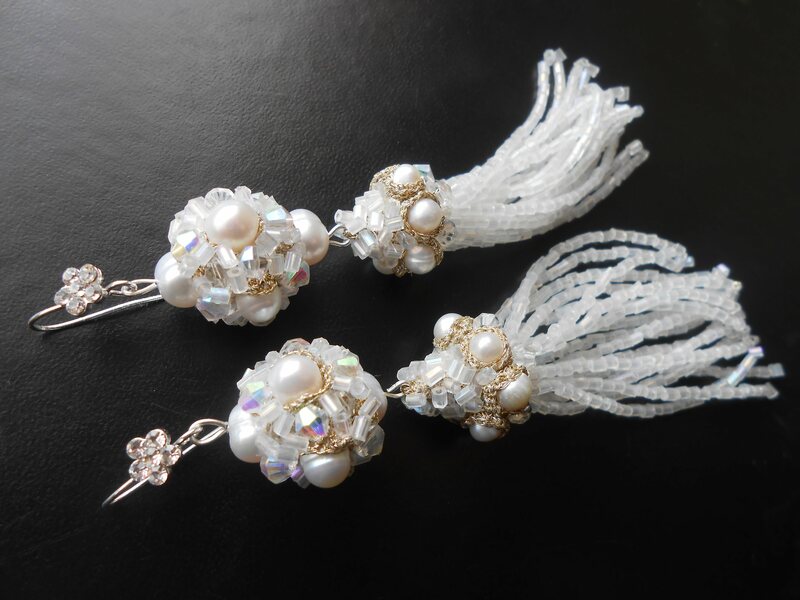 These gorgeous tassel earrings are entirely handmade and comprise white freshwater pearls, opalescent Japanese glass beads and sparkling crystals. 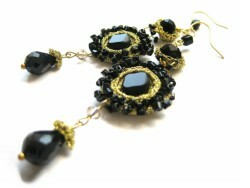 The earrings are sized to make a bold statement without feeling too heavy. 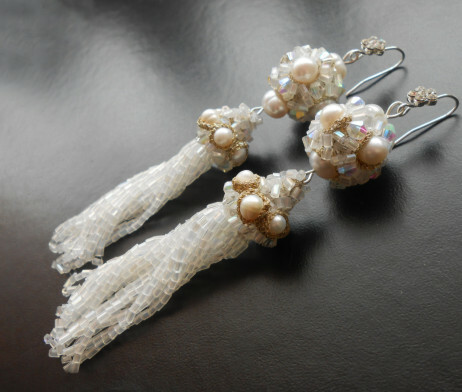 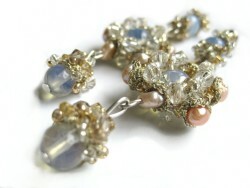 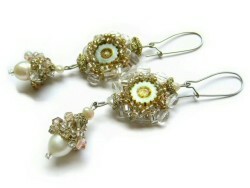 They’re finished with beaded tassels for movement, and are perfect for elevating every special outfit. 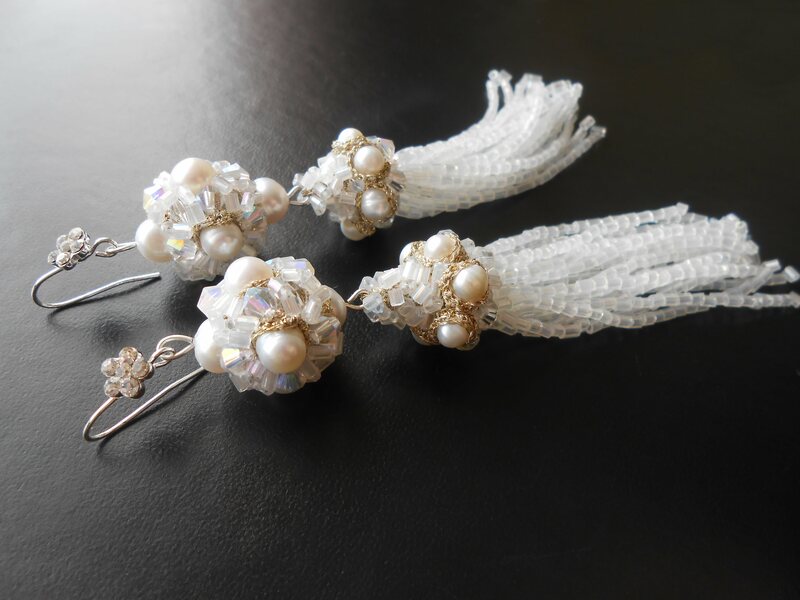 Show them to maximum impact with hair swept back. 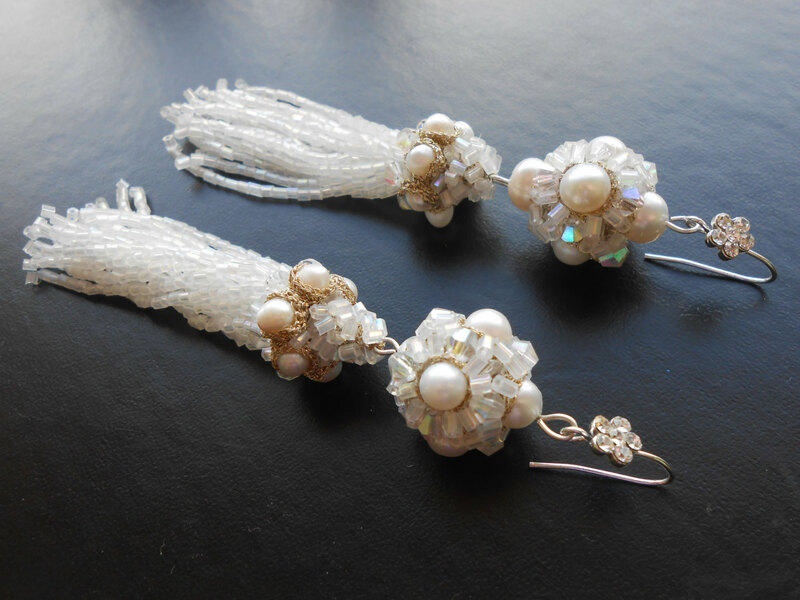 Zoom the pictures to see all details, see description for actual size.